Contractors who bid low on a job and then practically leave a home in ruins. They do this by by using low-quality materials and doing poor installation. Contractors who don’t stick to the agreed-upon timeline, miss deadlines, and act annoyed at their customers when asked about the delays. Surprise extra work that adds thousands to the bill at the end of the project. Businesses that go under in the middle of a job, or who demand money up front and never finish. Contractors who ignore requests and take forever to get back to their clients. Maybe worst of all – that contractor who was recommended by a family member or friend who ends up ruining the job and causing a rift in the relationship. These are just a few examples of how home improvement projects can go wrong, and a bad contractor is to blame. Do you want to avoid the messes you read about on the internet or hear about through the grapevine? It’s tempting to look for a deal wherever you go. Aren’t we trained from a young age to look for the best deal you can get? 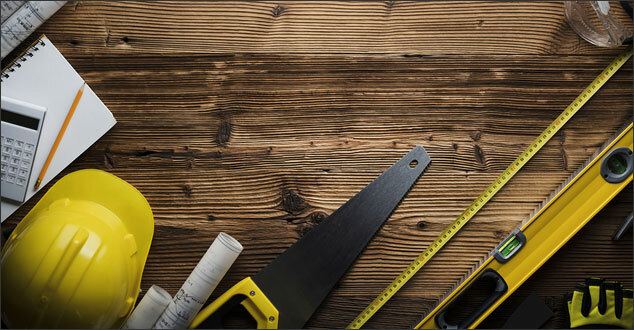 The problem is one size doesn’t fit all when it comes to a home renovation. The variation in cost for a home project isn’t as wide as you think it could be. He’s going to use substandard materials, unqualified labor, and poor sub-contractors to get the work finished and still make a profit. He doesn’t know what he’s getting into. This means he’s probably going to mess something up or end up demanding more money on the other end. He may be desperate for work, which can lead to many problems down the line. Another great way to shoot yourself in the foot is by failing to look into your contractor’s credentials. Additioanlly, taking the word of a family member or friend in favor of a more objective resource. Good contractors who deliver what they promise will have a reputation with manufacturers whose product they work with. Many manufacturers have a certification program for contractors at the top of their trade. In addition to this, your contractor must have proof of insurance to cover potential damage to your house and liability for workers. Lastly, any reputable company will have reviews online through one of the many available. For example, sites like Angie’s List or HomeAdvisor. Yes, you can take these with a grain of salt. One irate homeowner is enough to ruin a whole list of good reviews. However, these reviews can be invaluable for showing where the same problems come up time and time again. Although there are unforeseen circumstances in any job, any contractor worth his salt is going to both know how much time a job will take. He will build into your estimate any extra time he thinks he will need to deal with problems that may come up. If you’re walking into a deal without a timeframe in writing, you are asking for trouble. If your contractor won’t give you a detailed cost breakdown for every aspect of the job, there’s a good reason for this. Any reputable company is upfront about using the right materials and what they cost, and about their fee for completing the project. It should all be there in black and white with a detailed cost breakdown for any additional work after the initial estimate was written. The project you are going to hire a contractor to do requires careful planning, attention to detail, and a large amount of money to be invested initially. The only person who is protected by a verbal deal is an unscrupulous contractor. If you fail to get everything in writing, you may end up having to do it all over again. From shopping for bargain prices to settling for verbal agreements, there are ways to end up with the wrong contractor. Your chances are much better, however, of hiring the right one if you avoid making one or more of these big mistakes. In conclusion, are you considering a home renovation? If you live in the Southeast Michigan area, please give us a call. We would be honored to help!